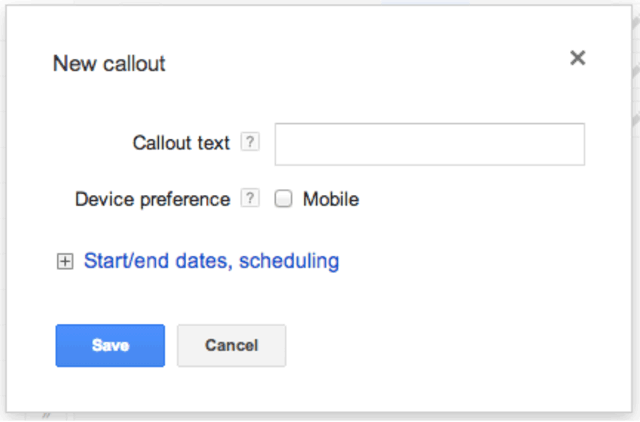 Google announced a new AdWords extension named callout extensions. Callout extensions let you add additional text that shows with your Google search ads, highlighting specific information about your products and services. You can add anything, within their guidelines, to your ads, to boost and supplement your ad within the search results. There is a limit of 25 characters each and up to four can show with your ad. This feature is rolling out today, with full availability to all advertisers in the next few weeks. For a lot more details, see this help article.